At the end of a week-long yoga and mindfulness retreat, I was standing outside the yoga room looking out over the expanse of the canyon that lies outside of San Jose, Costa Rica. There was a light wind blowing, as is often the case in the mountains at this time of the year. There were many palm trees dotting the hills across the canyon with their large leaves moving with the breeze. In addition, there were three large palm trees right above me that must have been 60 feet tall. I stood looking at these trees above me then moved my gaze to view the trees across the canyon. Then something happened. It was like I disappeared for a time—I doubt it was too long. But, in the next moment of awareness, to my surprise, my arms were overhead flowing from side to side like the leaves of the palm trees. It was really odd. I don’t have any recollection of putting my arms up over my head to do this. This story might sound a little strange, but it happened and I’m not sure how to explain it. It was like I had become one with the palm tree! The conditions under which this experience happened were this. For a week, I had been doing yoga a couple of times a day (at least). There had been a ½ day silent mindfulness retreat. I had no schedule for a week of things that I had to do or accomplish. I ate three great meals a day that someone else cooked for me and I didn’t have to wash the dishes. I spent time in nature on eco-adventures throughout Costa Rica. I had a massage from a wonderful healer at the Wellness Center. There were lots of wonderful people around me who were like-minded and kind. There was a lovely pool that I lounged and read by. I had most afternoons free to relax and do what I wanted (or do nothing). No doubt I was completely refreshed and tuned into my connection with something larger than myself. And, it was lovely. I remember this moment with delight. Maybe this is why I return again and again to Pura Vida Spa in Costa Rica. I always feel more refreshed and energized after a week here than anything I do all year long. And, believe me, I engage in a lot of self-care! I’m going again, to the same place this year and taking a group of people with me to practice yoga and mindfulness. I’d love you to be one of them. If you’d like to have a week away in the middle of the winter and experience your version of connection and time away from the busyness of life, consider a trip to Costa Rica. If you’d like more information about the trip, please read my earlier blog piece here. 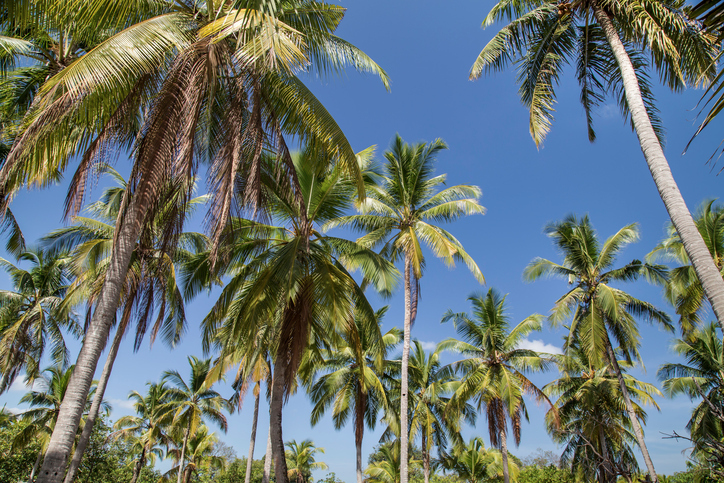 You might not become one with a palm tree, but you will definitely come back feeling energized and refreshed.